While you are out holiday shopping and saving big money this weekend during Black Friday, don't forget what the holidays are all about! Use some of the money you saved to purchase a toy for our Stocking the Trailer Toy Drive. 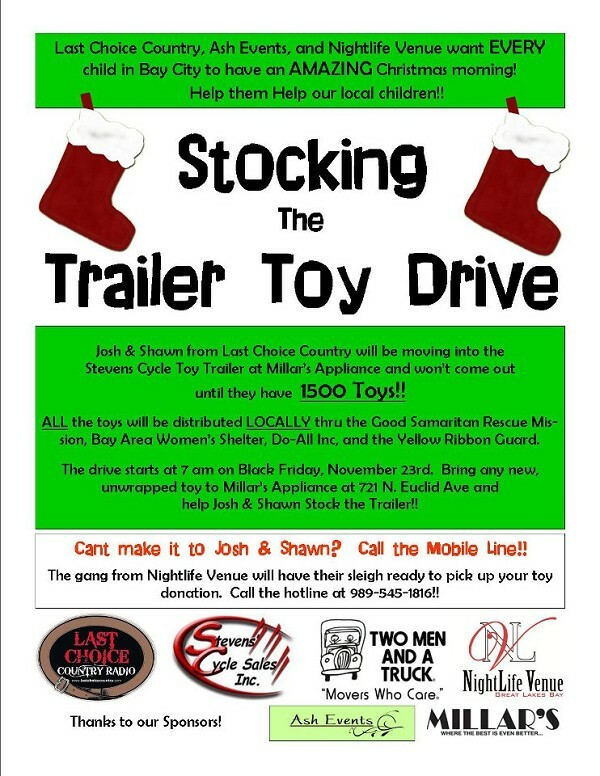 Josh & Shawn from Last Choice Country are moving into the Steven's Cycle Sales Toy Trailer and will not be coming out until we have collected 1500 toys. The Steven's Cycle Toy Hauler will be at Millar's Appliance on Euclid Ave. starting Black Friday. The gang from Nightlife Venue will be picking up donations by calling 989-545-1816! 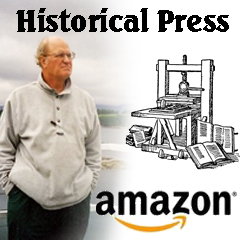 Help us help our community! It could be your neighbor, your co-worker, a friend of your child who we are supporting! !